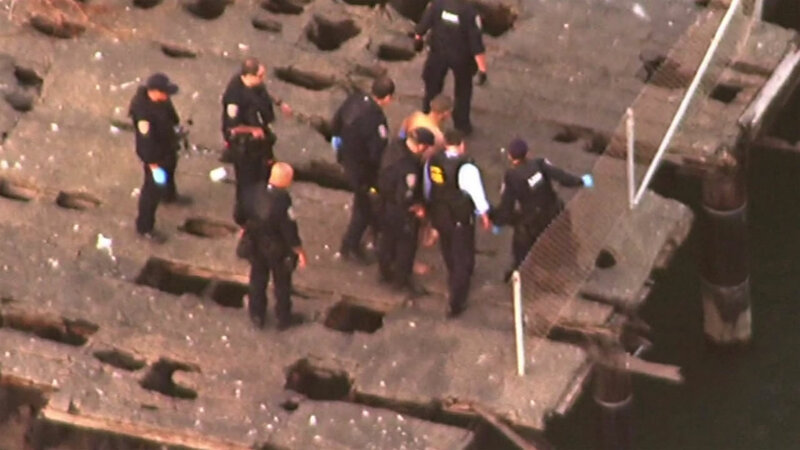 SAN FRANCISCO (KGO) -- San Francisco police officers negotiated with a man who was hiding underneath a pier near the Fourth Street Bridge and AT&T Park. It began when California Highway Patrol officers tried to pull him over Thursday for riding his motorcycle on the shoulder of Interstate 280. The suspect then hit a car, ran away from the scene and jumped into the bay. After two hours, police broke some of the boards on the pier to get him out and arrest him. He went to the hospital to get checked out.